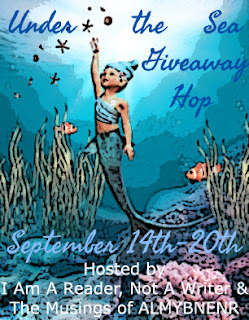 Announcing the Under the Sea Giveaway Hop. Hosted by I Am A Reader Not A Writer & The Musings of ALMYBNENR. 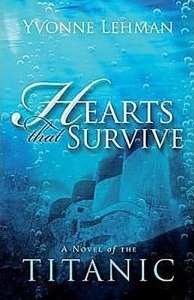 Featuring books with mermaids, sirens, selkies, divers, swimming boating, dolphins, etc. Planning her dream wedding aboard the maiden voyage of the Titanic, Lydia is helped by friend Caroline and others aboard to make this an event for the world to hear about. Though Craven desires her, poet John has captured her heart and given her a child that remains a secret. I love how this novel transcends time, and incorporates a famous time in history as well as at a later time and memory. This is the first novel I have read by Yvonne and I have been missing out! I have many books to catch up on to read all 50. If they are all like this, they will be worth the time. If you are a fan of Titanic based books, you should definitely read "There's something alive on the Titanic by Robert Serling"